The most successful tech startups secure the right kind of financial investment. The right funding strategy allows entrepreneurs and founders to develop all-new product enhancements, hire team members, partner with corporate leaders, and more. The first step towards landing a new funding round begins with a winning startup pitch deck. In short, the pitch deck serves as venture capitalists’ barometer for startup success and worthwhile investment opportunities. The best startup pitch decks include valuable information related to traction achieved, funding goals and objectives, executive team, value proposition, competition, and more. Armed with a high-powered startup pitch deck, Mathilde Collin, CEO at Front, unlocked a $66 million Series B for her forward-thinking and competitively priced software solution. Over five days, Collin pitched to 11 investors and walked away with 10 investment offers. Ultimately, she accepted an offer from Sequoia Capital, the well-known venture capital firm behind Airbnb, Stripe, Dropbox, WhatsApp, and more. Are you ready to secure financial investment for your tech startup or scale-up? 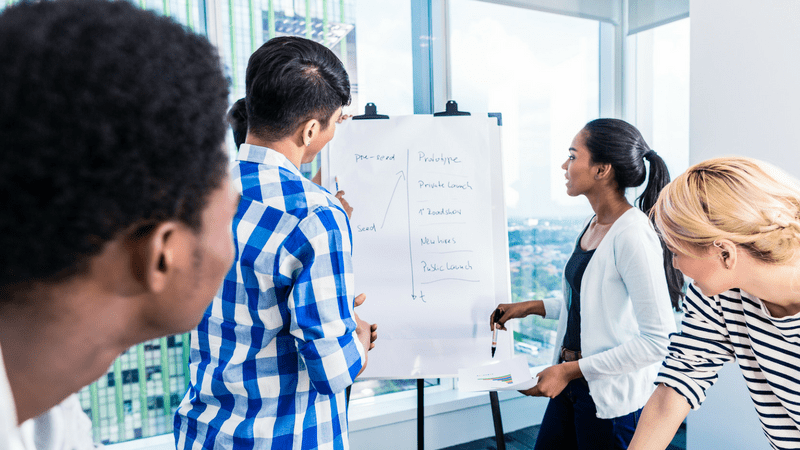 Learn more about the top eight components of a winning startup pitch deck. Let’s face it — without a startup pitch deck, your startup won’t get the funding it deserves. The most successful startups have built a product or service that solves consumers’ problems. Use this slide to talk about the problem that you are solving and how consumers will benefit from your targeted solution. Ideally, this section will tell a relatable story. By painting a simple and relatable narrative, investors will have a better understanding of your business, industry, and funding goals. We’re like Spotify for video games. We’re like Uber for pet owners. It might be tempting to draw these kinds of comparisons, but dropping a high-profile name for the sake of dropping a high-profile name isn’t a great strategy. Instead, your startup’s vision should reflect its unique sentiments and beliefs. Your value proposition should showcase how your startup is uniquely qualified to address customers’ pain points. If there’s a bit of crowding in your industry, what unique solutions or discoveries has your startup unlocked? How is your startup equipped to solve customers’ problems? How is your startup situated to achieve massive growth? This section should highlight key team members, their experience, and the key expertise that they bring to your startup. Don’t be afraid to talk about their experience at previous organizations or businesses. How is this team uniquely qualified to build and manage a high-growth (and profitable) startup? Before seeking financial investment, startup founders must gain some early traction. Perhaps you’ve secured some early crowdfunding? Maybe you have a dedicated following of high-paying customers? Tell investors about the growth you’ve achieved thus far and how a new funding round might expedite that growth. “List the few main items that you’ve already achieved in the first column. These typically include traction, product, and fundraising. You want to show investors that you’re a natural born hustler and that you’re already making the magic happen. Now they feel more comfortable giving you their money,” says Mike Lingle, contributor at 10xU. Overall, this slide should speak to the unique operational and functional capacity of the business. How does the business work? How does the business make money? Ideally, your startup’s business model will be unlike any other. What new mechanism or marketing strategy does your business use to drive greater profits? The number one mistake most startup founders make is saying that they are without competition. Every startup has at least one competitor. This section should talk about other entities in the marketplace. What are your competitors doing? Moreover, what are they doing wrong? Show investors how your startup’s product/service is superior. Finally, the last section of your startup pitch deck should outlines specifically what investor’s money is going towards and why these funds are necessary to grow the company. The ask is one of the most important sections in your startup pitch deck. Be sure to back up this number with plenty of data and expert insights. You need to prove that your startup is worth the investment, and this is the section to do it! Adding these sections — problem, vision, unique value proposition, team, traction metrics, milestones, business model, competition, ask — in your pitch deck will increase your likelihood of funding success. Moreover, the most experienced venture capitalists are buried under a deluge of investment opportunities. The most successful tech startup founder stands out from the competition by creating a high-powered and compelling startup pitch deck that investors simply can’t ignore. For some extra help building a killer startup pitch deck, consider joining a startup ecosystem. 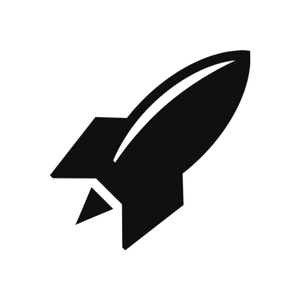 RocketSpace offers a global ecosystem of the world’s top tech startups. Members have access to a network of industry-leading peers and influencers, members-only events, exclusive perks and benefits, value-driven workspace, and more. Our diverse network of entrepreneurs, venture capitalists, corporate leaders, and mentors help startup founders tackle industry roadblocks with ease. 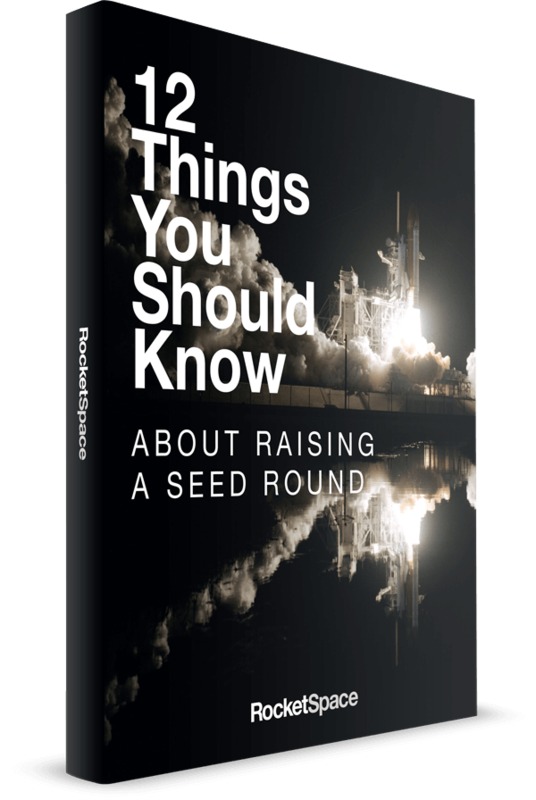 In the past, RocketSpace has supported a handful of billion-dollar startups and scale-ups!